Learn Brazil's most famous dance and explore the culture with the current International Samba Queen, Sasha Mazzeu. 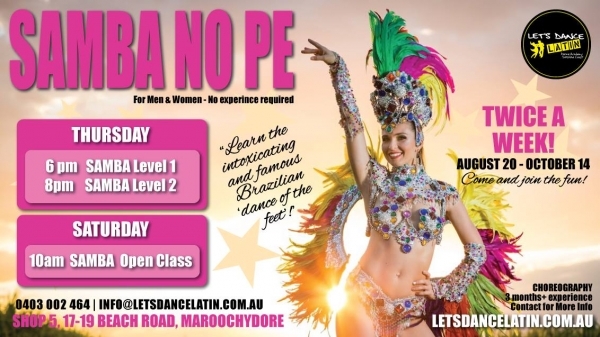 Samba no Pe is an individually danced Brazilian style that is incredible for self esteem, empowerment and expression. In our beginners class (Level 1) you will learn the basic steps, the rhythms & movements.